Speed Wipe is the most effective, powerful, and versatile cleaner and stain remover on the market. 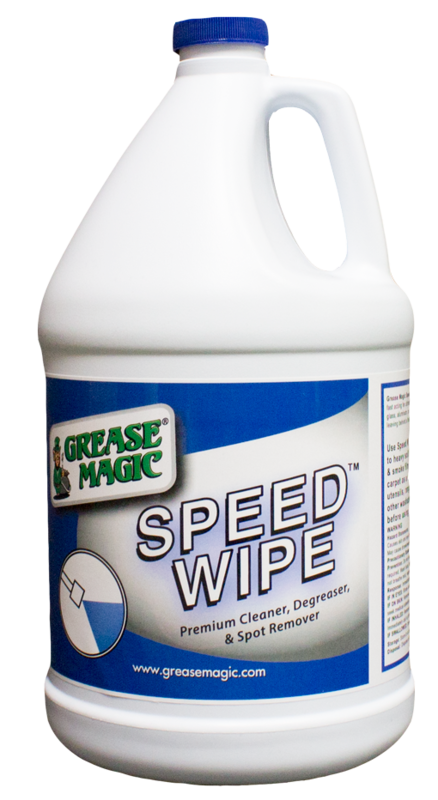 Use Speed Wipe on carpets, textiles, countertops, ovens, showers, boats, auto, or any are where heavy duty cleaning is required! We proudly and confidently offer a 100% money-back guarantee on Speed Wipe. 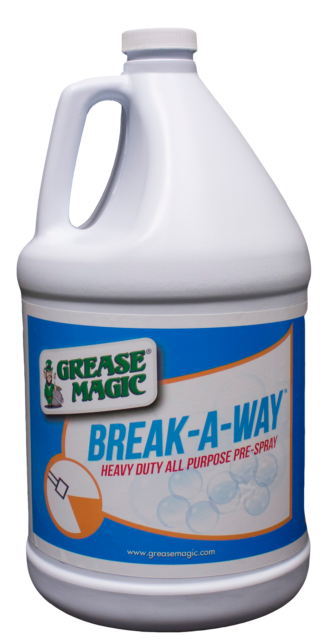 Speed Wipe from Grease Magic is an all purpose cleaner for any spray-and-wipe job from light duty cleaning to heavy, greasy soil removal! Speed Wipe is the most versatile cleaner you can keep on your truck, because it can be used on nearly any surface! Use Speed Wipe as a spot and stain remover on carpet and textiles, or as a cleaner for latex painted surfaces, walls, floors, countertops, vinyl blinds, vinyl siding, outdoor furniture, office equipment, utensils, range hoods, truck exterior and interiors, fiberglass, aluminum, and many other washable surfaces! *Do not use on glass. Do not use on flat paint unless the surface will be repainted. 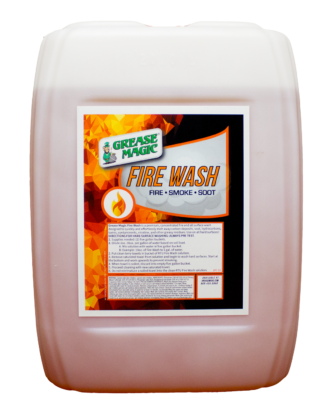 Grease Magic Speed Wipe is also our premium cleaner and degreaser for structural fire and smoke damage cleaning. 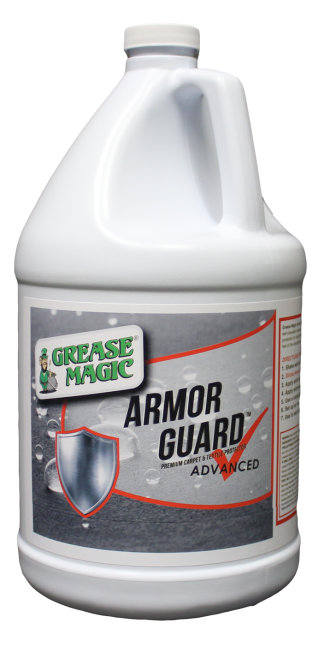 Speed Wipe mixes with Grease Magic Smoke Eraser to create a dynamic, super effective cleaning and deodorizing agent to rival even the most expensive products on the market! No scrubbing, No rinsing, and no residue! Leaves a fresh pine scent. Try Speed Wipe today—a gallon ships for just five dollars! pH: 13.5-14.5. 55 GAL DRUM SHIPS FREE! Heavy soil: spray Speed Wipe on area to clean full strength and clean with towels, mop, auto scrubber, tile spinner, or tool of choice. *It is best to extract Speed Wipe off the cleaned area to prevent re-soiling. Light soil: dilute Speed Wipe with water as required for general cleaning. Do not use on glass. Do not use on flat paint, unless the area cleaned will be re-painted. View Speed Wipe SDS here.